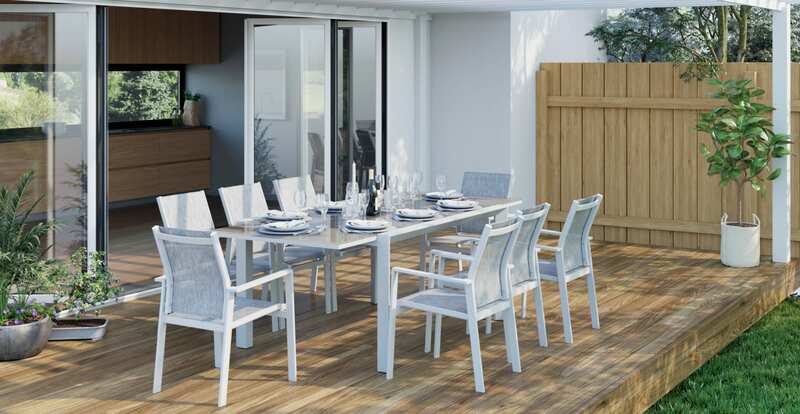 Malibu 8 Seater Outdoor Dining Set with Extendable Table is setting a trend. 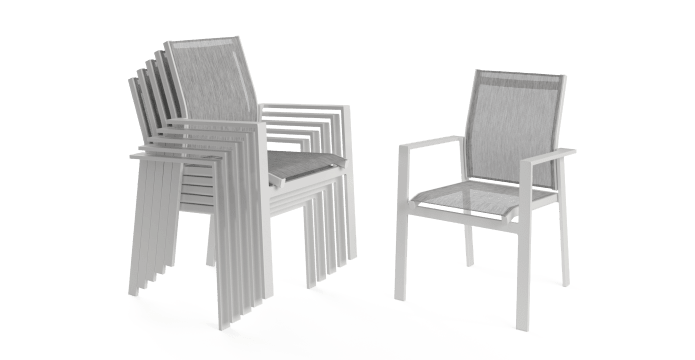 Bringing modern style into backyards, making outdoor space up to date. 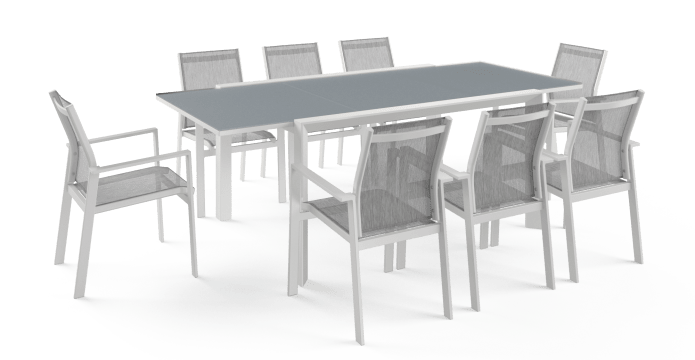 Malibu 8 Seater Outdoor Dining Set with Extendable Table can easily fit eight seats. Don't worry if you have a bigger party. 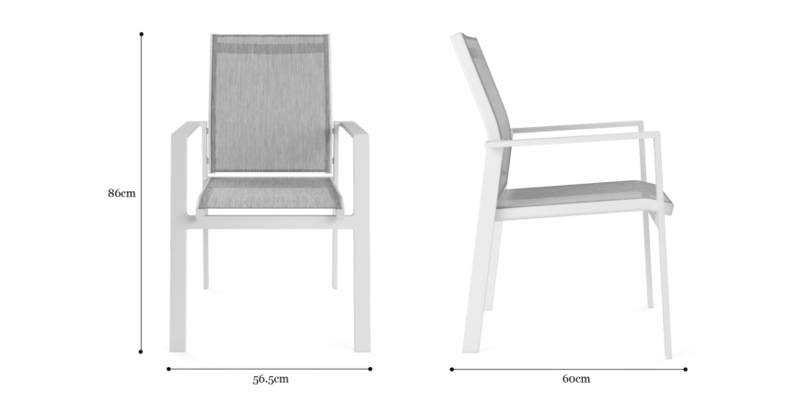 Get more outdoor dining chairs. 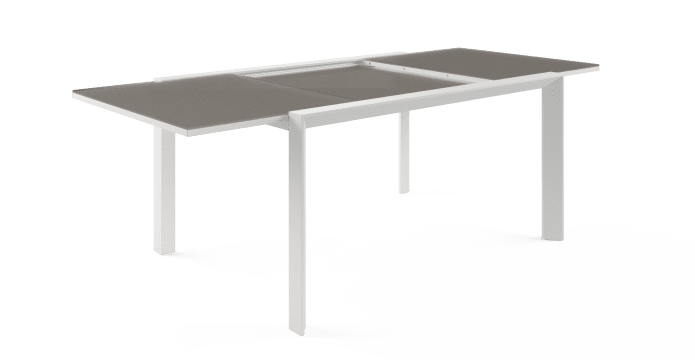 It can fit up to ten. 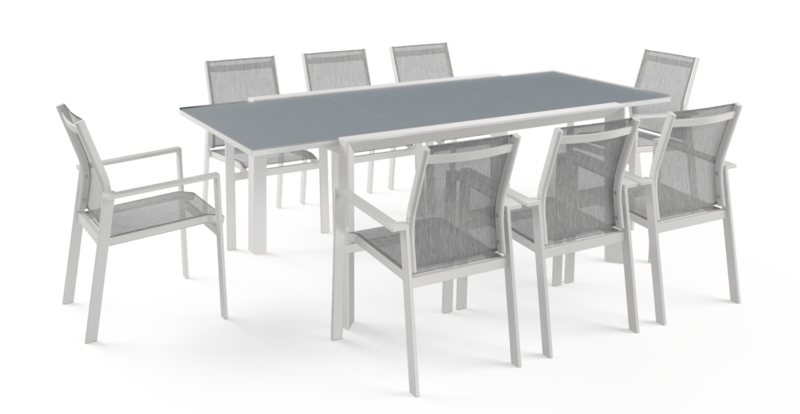 The Malibu Outdoor Extendable Dining Table can be easily folded and expanded to fit a different number of guests. 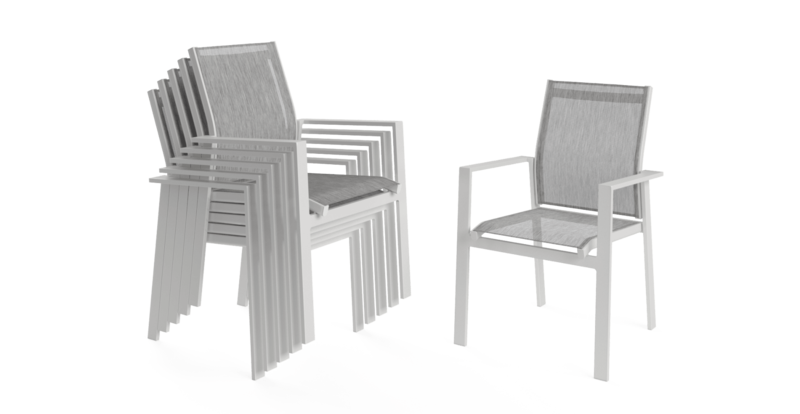 The Malibu Outdoor Dining Chairs can be stacked when they're not in use. 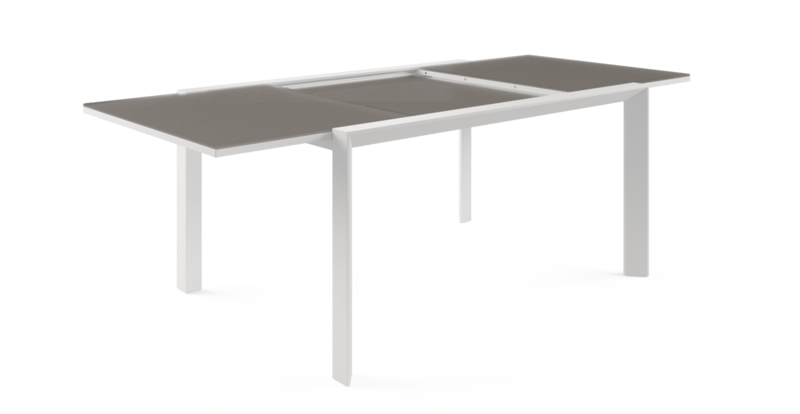 All our outdoor products are coated with quick dry materials to resist the weather. Shop our entire outdoor range to complete your setting.